The summer that is just ending has been a most eventful one in the theatre. Among the other great presentations that ran through the hot months were the two great London seasons of Bernhardt and Duse . William Winter accuses the American people of having a sneaking admiration of Madame Bernhardt's personality. Well, there are some things about her that compel admiration. All artists who have the supreme assurance and strength of their art command admiration. 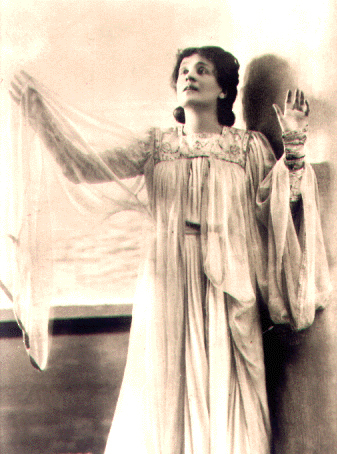 Early in the summer Signora Duse went to London, playing "Camille," "La Tosca" and "Fedora," the plays that for so many years have meant Bernhardt. Duse is a great artist, altogether original, altogether modern. London went wild, that is, as wild as London ever gets. The delicacy and power of the woman enchanted the critics. They thought these lofty and spiritualized passions infinitely grander than the fierce and fiery ones of the old Frenchwoman. We always think the higher and colder passions better when the warmer and lower are away from us; it's one redeeming trait in human nature. One morning the London papers said unanimously that Duse was greater than Bernhardt. Bernhardt was over in Paris recalling old days with Sardou , using unrepeatable language to her creditors and reading everything in the world, as she always does. At last the growing rumble of a great fame reached her, a fame that was not hers. For the first time in her life she had a rival, a woman young, modern and indisputably a genius. Bernhardt is old, nearing sixty now. She never was beautiful, and London said that she belonged to a school that is growing passe. It was generally supposed that she would realize that her star was setting and would quietly yield. But she never was a woman to yield anything. Her age and wrinkles did not trouble her, she never had any beauty to depend on, nothing but her whirlwind of passion and her flawless art. She read those London papers through and when she had finished her cigarette she telephoned for her manager. She cancelled her Paris engagement, sent her fond adieux to her despairing creditors, packed up her son and grandson and boa constrictors and in a week was in London. She rented the biggest theatre and began playing her rival's plays in her rival's very teeth. She had none but the kindest feelings and the most appreciative words for and of Signora Duse, but she had been challenged and came for war. It was simply a duel of genius, not pique or vanity, but an artist's defense of her self-respect and her art. Madame Bernhardt has seen a good deal of men, individually and collectively, and she doubtless knew from her very vast and varied experience that loyalty once re-conquered is all the stronger for a little unfaithfulness, because it has the spur and sting of remorse. That is true, even in phlegmatic London. Before a week was over the great London public had surged back to the feet of its premier amour. It repented and apologized, it wondered and marveled and was amazed. Why, this woman was sixty and the old irresistible magnetism was there still, the mighty force that seemed to go back and awaken the primitive elements in man and analyze things into their first and simplest constituents. All who have felt it remember it too well. It is like red lava torn up from the bowels of the earth where the primeval fires of creation are still smoldering. With all the coquetry and Parisian capriciousness, it is still a force which has in it something of the savagery of the stone age and arouses in the individual the forgotten first instincts of the race. London went from intoxication to delirium. It published her picture, it raved over her as it did years ago when she was young, it declared that she alone was great and that there was none like unto her. Then, having made her honor clean, Bernhardt went back to Paris to her wine cellar and her creditors. Surely in all the category of stage women none has had power and magnetism like hers. It is almost probable that her greatness will not die with her, that generations unborn will feel the thrill of her presence, the magic of her power, just as we feel Cleopatra's . Bernhardt is more like the royal Egyptian than any other woman ever was, and it is not unlikely that future generations will associate them together. It is pleasant to know that theatrical people really like to play in the Lansing. Many of them say that there is no theatre in the country where they are treated more courteously and considerately. The stage hands are noted far and wide for their gentlemanly conduct and boundless good nature. Mr. John Dowden has always been a favorite with professional people, who all of them know how to appreciate that rare commodity, a gentleman in the box office. One of the sad attendant circumstances of the growth and development of any institution is the proportionate growth of its egotism. This is particularly true of educational institutions. We have no western universities as yet that can compete with Harvard or Yale in that line, but we can hold our own just the same. Very often university people are heard bewailing the fact that the town does not appreciate the vital importance of the university. Of course they are right. Lincoln exists merely because of the university, the city is merely builded about that great institution, the churches, residences, court house and even the state house are little ornaments to beautify the campus. The banks are run solely to accommodate the university, the lawyers are here merely to lecture before the law school, the dry goods men have no other business than to sell scarlet and cream bunting. They very side walks are merely approaches to the university, to be trod by adoring disciples. Without that mighty seat of learning business would stagnate and Lincoln, the suburb of the state university, would be depopulated. The people of the town have no other business than to boom the university and all the homes about the city are merely little preparatory institutions to hurry youngsters out of dresses and knickerbockers into cadet suits. The only wonder is that the town doesn't abandon city government altogether and that the churches, business houses, banks and theatres are not controlled and regulated solely by the faculty of the university of Nebraska. The last great man of all that school of great men that flourished in New England half a century ago has gone to his reward. When Dr. Holmes died a wit, a scholar and a gentleman left this world, where there are too few of his kind. Of all that guild of poets and philosophers Dr. Holmes was the most unamerican. He never consciously imitated a foreign school, but nature made him an Englishman. He was an autocrat and almost the only American who has ever been one. He was a scholar and a dilettante, neither of which a typical American can be. His humor was entirely unamerican. Mark Twain's broad humor is the characteristic American humor. But Dr. Holmes' wit was delicate and classic as that of Horace or Charles Lamb , while his scholarship was as profound and feeling and free from pedantry as that of Mr. Andrew Lang . He was a man who read more than he wrote, and who wrote not in the heat of great inspiration or with the fire of great purpose, to please and delight himself with a gentle, easy flow of rich language and imagery. His wit is so sunny, so timid, so unassertive, that it charms more than it amuses. Even his early work was mature, never showy or pedantic, but one always felt that the repose and strength of profound scholarship over which his graceful fancies chased each other like light and shadow. Dr. Holmes could not write a novel; he lacked the force, the passion and seriousness of a great novelist. He could not create men, only paint fancies; he could not handle great situations, only pleasing epigrams. He had too great a sense of humor to be a serious novelist. A novelist cannot stand a very keen sense of humor. He must be able to take himself and the world seriously. To him life must be a tragedy, not a comedy. No, Dr. Holmes could not write a novel, it is only because of the "Autocrat" that we can forgive "Elsie Venner" and the "Guardian Angel." But through all his work there is the charm of a truly human personality. His readers have an almost personal affection for him. His warm disposition never left him and his heart never grew old. After his hair grew gray he kept the warm sympathies of youth. It was a moment of universal sorrow when the chambered nautilas outgrew the shell forever. Dr. Holmes' literary career was a most happy one. His recognition came early in youth, when recognition is most sweet, and his success was permanent. Only one misfortune ever befel him, and that came late in life, when Madame Sarh Grand took him for her especial hobby and quoted him repeatedly in the classic pages of "The Heavenly Twins." If Dr. Holmes had not lived to an age seldom reached by man, it would seem almost probable that this hastened his end. He sat in the dressing room of a delicious little soubrette watching her don a fetching dinner gown of twilight blue. "Have you read 'Trilby?' " she inquired as she balanced a powder puff daintily in her hand. "Stop, for the love of heaven, stop! I discuss that book with my minister, my physician, my wife, my mother and my mother-in-law. I did not come here to discuss 'Trilby.'" "But don't you think it is a beautiful—" but he had seized his hat and was hurrying out of the stage entrance into the street. It is a curious thing, that mutual extermination of barbarians that is going on in the Eastern hemisphere. There hasn't been such a picturesque combat in the memory of many generations. No one can tell how or when it will stop. It may continue half a century. It has taken about six hundred years for the Chinese to get brought up to the fighting point and heaven only knows how long it will take them to stop. They will probably fight until the men give out, and if they only lose several thousand a week the war may go on for an indefinite length of time. There are so awfully many Chinamen. The king never worries over the number of the slain; men are cheaper than arms or ammunition. The barbarian disregard of life is something we cannot understand. No Chinaman values his life very highly and in that perhaps they are foolish and perhaps they are wise. When one regiment is completely destroyed another steps into the place, just as yellow and just as silent as the first. They fight without any particular courage or enthusiasm, and clad in fantastic armor that would be a credit to a spectacular extravaganza. It is too bad that Mr. Kipling don't go over and write up that war. It's entirely in his line and there must be color enough to make another "Gate of a Hundred Sorrows." "Was Mr. Hayes still with Downing?" inquired the pseudo aunt of Mr. Frohman's company. "Playing in leads and the best one in the company, is he? Well, now, I'm glad to hear that. He is an awfully nice fellow and I always thought he had a good deal of promise. He is built for the classic drama, though. I played with him when he brought out 'The Bells' as an experiment in Chicago. He wanted to star in it, but the piece fell flat, all because Ed cannot do anything modern. He hasn't the right voice or the right carriage. He couldn't even wear his clothes well, and he carries a dress suit a little worse than any man I ever saw. He used to handle his overcoat like a toga. If he sticks to classic roles he's all right, but he makes the stiffest modern lover you ever saw." Word comes to us of a peculiar state of school matters in a city not far from Lincoln. The superintendent is a man of very decided views and refuses to employ any teacher in the schools without first submitting them to a little examination of his own in which all the ancient catch questions of the country school of former days are dragged to light. He recently refused to accept a graduate from the classical course of Cornell without first subjecting her to an examination in reading, writing and arithmetic. The superintendent himself, by the way, is a graduate of some little academy somewhere in Illinois where they teach Cæsar and arithmetic through fractions. He belongs to the school that believes in absolute knowledge and no other kind. His idea of an educated man is a man who knows facts, regardless of their application. He is of that sect to whom arithmetic is the acme of culture. Mathematics have been, from time immemorial, at war with that higher culture which is spiritual and emotional. The creative mind is all spiritual; it asserts, affirms and warms into life. The mathematical mind is wholly material; it analyzes, counts, reduces, it is the "spirit that denies." All the higher achievements of man, art, poetry, music, the drama, are the work of the creative mind; all the lower achievements, which administer only to the comfort of the body, are the work of the mathematical mind. The higher standards of morality, the exaltation of the affections, have all come about wholly through the imaginative minds of society, the minds that were capable of conceiving and being loyal to an ideal. The mathematical mind knows neither good nor evil, it knows only love and gain. It is a serious question as to just how far the mathematical and "practical" should prevail in the public schools. The public schools are not conducted for the benefit of the students who are preparing for a higher education. They are for the children of the people, the children who will probably be bound close to their work bench or plow all their lives. Those few school years are a pause in the life of a boy in which he is to see something of the best that the world has to give him, in which he may live with princes and commune with men greater than kings. All his life is to be one unceasing round of the practical, one long apprehension and fear of poverty, a struggle to exist. That is the law of the universe, from the first atoms down. These first few years in this lad's life, these fresh, untrammeled years, before he is narrowed by either a burning need or greed of money, are set apart by the state for him to receive in his soul the circumcision of culture and on his forehead the seal of a higher existence. Perhaps they are the only years in his life when he will have time to see the beauty of nature, or to know the beauty of art. His life will of necessity teach him practicality; those few years are set apart for better things. Besides, how much of the so-called "practical" knowledge is practical? How often in his life does a business man use cube root? But the books he read and the taste he formed at school will influence his whole moral being, this life in this world and his chances in the next. There is no contradiction to the fact that to see beauty is the end of culture, and to feel clean and lofty enjoyment is the end of education. The man who teaches mere materialism and practicality to youth, already bound and fettered with practicality, corrupts and debases the purest years of living. He gives a stone and a serpent to those that cry unto him for bread. This type of teacher is by no means new, nor is the gentleman in question the only one of his kind. He is fortunate in that he belongs to the majority. He has noted predecessors, the men who expelled Shelly from Oxford, the men who whipped Byron at Eton, the men who tortured Poe at the university of Virginia. He comes of a noted line of pedagogues who have devoted their lives to the suppression of talent wherever they found it. Will there ever be a generation of teachers who will teach men how to feel and see? Who will teach the things that the world most needs to know? Who will elevate taste, and, as Browning says, will "save the soul besides?" Will the pedagogues of the world always give us the bones of knowledge and keep from us the living truth? Scattered here and there are even now a few who, so far as they are able, reveal the hidden things, who let God work out his own plan in every child's soul, which is surely God's right, and the child's. There was one even in the town referred to, one who was never harsh with the dreams of youth, who did his best to open the eyes of the blind and never mocked at the poor boy who saw visions and dreamed dreams. The latest startling thing in the sensational field of Lincoln journalism is an ominous resuscitation of Vanity Fair. If it were possible to run a sheet with just enough vanity it might be a good thing; it would keep the animals stirred up and the donkey from dozing. But, despite a contrary affirmation by a highly respected authority, all is not vanity. The only trouble about the vanity fair of the world is that they are not willing to give the world credit for any good at all, not understanding that by so doing they are making evil commonplace and interesting and are so defeating their own ends. The sensational papers have a fault of being coarse where they should only be suggestive. A Vanity Fair might be published which even people of culture would like to read, even though they would hide it under the sofa pillows when the doorbell rang. It is too bad that when there are so many clever ways to say wicked things, people will insist on using the most offensive. 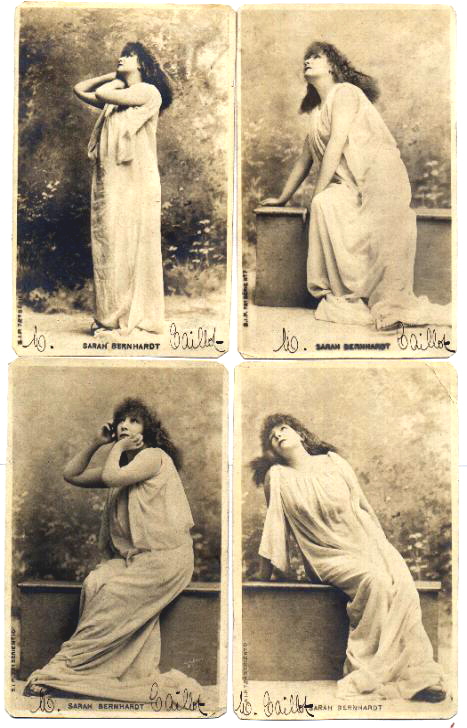 La Tosca: Victorien Sardou's five-act tragedy, written for Sarah Bernhardt, was first produced in Paris in 1887. The play takes place in Rome in 1800; Floria Tosca, in an attempt to save her lover, Mario Cavaradossi, a revolutionary, agrees to submit herself to the Baron Scarpia, chief of the Roman police. Instead she kills him and goes to the Castel Sant' Angelo, where Cavaradossi is being held; however, the firing squad arrives and she flings herself from the tower to her death. 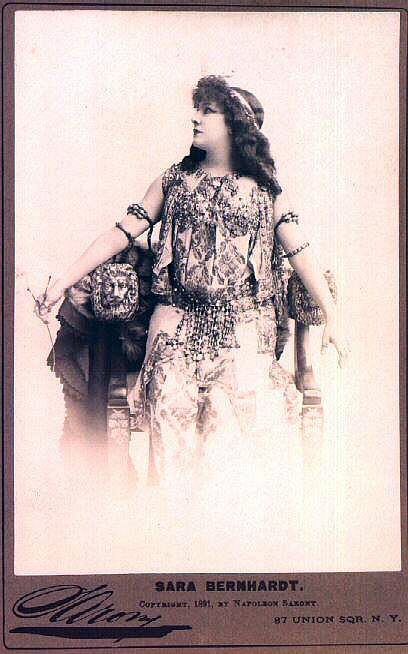 Sardou's play was the basis for Puccini's opera, Tosca (1900). 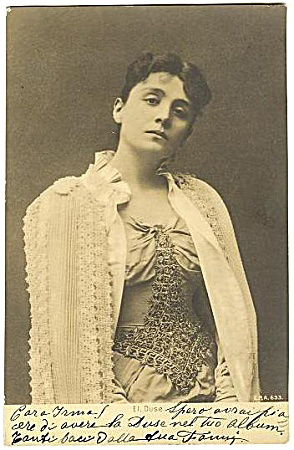 Fanny Davenport starred in an English-language adaptation in New York in 1889, but the response to Tosca's suicide was so negative that the ending was changed so that Tosca is shot by the soldiers also. Bernhardt starred in a 1909 film version of the play; other film versions were made in 1911, 1918, 1921, 1922, and later. Bernhardt's son: Sarah Bernhardt's only child was writer Maurice Bernhardt (1864-), the son of a Belgian nobleman, Charles-Joseph-Eugene-Henri, Prince de Ligne. Bernhardt's grandson: Maurice Bernhardt married a Polish princess, Maria Jablonowska (1863-1914) in 1887. He had two daughters, Simone (b. 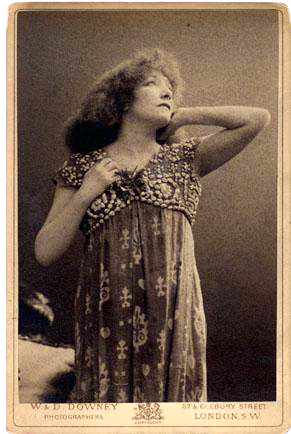 1889) and Lysiane (b. circa 1892), who published a memoir of her grandmother in 1945.
boa constrictors: Sarah Bernhardt posed for photographs with many exotic pets; when she played Cleopatra, she used a garter snake to represent the asp, and is reported to have walked around backstage with the snake wrapped around her wrist like a bracelet. She alone was great and that there was none like her: In the Bible, 2 Samuel 7:22 reads: "Wherefore thou art great, O Lord God: for there is none like thee, neither is there any God beside thee, according to all that we have heard with our ears." Cleopatra: Cleopatra Thea Philopater (69-30 B.C. ), a descendant of one of Alexander the Great's generals, was co-ruler of Egypt with her younger brother and husband, Ptolemy XIII. He attempted to depose her and align himself with the Roman, Julius Caesar. Cleopatra reportedly had herself rolled up in a carpet and presented to Caesar, who then took her part. After his assassination, Cleopatra allied herself with Mark Antony, with whom she had three children. When Octavian, a fellow member of the triumvir that ruled Rome, sent a fleet to challenge Antony at Actium, legend (not verified by historians) says Cleopatra took her own fleet and abandoned Antony when she saw that he was being defeated. Antony committed suicide, having been told Cleopatra was dead; a few days later Cleopatra committed suicide by encouraging two poisonous asps to bite her. Her legendary beauty and the catastrophic events of her reign inspired many retellings of her story, most famously that of Shakespeare in Antony and Cleopatra (c. 1607) and other plays by Dryden, Shaw, and Sardou, as well as novels, operas, and films. 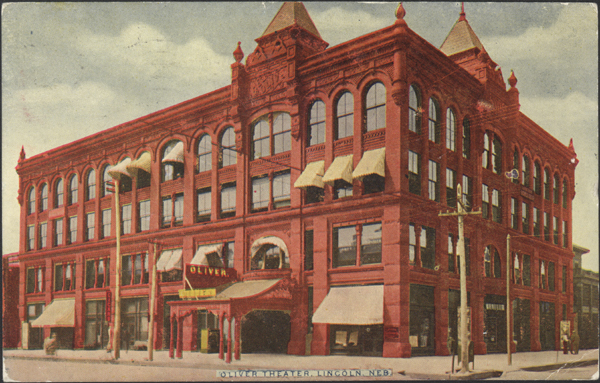 scarlet and cream bunting: Scarlet and cream became the colors of the University of Nebraska in the early 1890s. Bunting is a lightweight cotton or, formerly, wool fabric, often colored in long stripes, used for draping buildings or grandstands or other edifices on special occasions. out of dresses and knickerbockers into cadet suits: Little boys in the late nineteenth and early twentieth centuries wore dresses for the first two or three years of their lives; young boys wore knickerbockers--knee-length pants, usually gathered into a band at the knee--until adolescence. All the men at land grant institutions like the University of Nebraska were required to participate in military drill, wearing the blue uniform of the cadet corps. Dr. Oliver Wendell Holmes: Oliver Wendell Holmes (1809-1894) was a distinguished physician, poet, and essayist. He was born in Boston, graduated from Harvard in 1829, studied medicine in Paris, and became professor of anatomy and physiology at Harvard in 1847, retiring in 1882. Renowned as a wit and a speaker, he is best known for his series of contributions to the Atlantic Monthly, collected as The Autocrat of the Breakfast Table (1858) and its sequels, The Professor at the Breakfast Table (1859) and The Poet at the Breakfast Table (1872). His best-known poems are "Old Ironsides" (1830), "The Last Leaf" (1836), "The Chambered Nautilus" (1858), and "The Deacon's Masterpiece" (1858). He also wrote several novels, including Elsie Venner (1861) and The Guardian Angel (1867). Holmes' son was Oliver Wendell Holmes, Jr. (1841-1935), who became a distinguished justice of the United States Supreme Court. Horace: Quintus Horatius Flaccus (65-8 BC) was the great lyric poet and satirist of the Augustan age of Rome. The son of a freedman, he rose to become a tribune; he succeeded to the command of a legion under Brutus and Cassius, fighting against Octavian (later Augustus Caesar). When peace was restored, through the influence of Horace's patron, Maecenas, and his own wit and poetry, he became a favorite of Augustus, and began to write. His Odes, Satires, and Epistles are among the greatest works in Latin literature. Charles Lamb: British essayist Charles Lamb (1775-1834) is best known for the gentle yet acute humor of his Essays of Elia (1823); Elia was his pen name for contributions to The London Magazine. He was the son of a lawyer's clerk, and himself clerked for the East India House, beginning in 1792. He became friends with Samuel Taylor Coleridge at school, and through him became friends with William and Dorothy Wordsworth. The house Lamb shared with his sister Mary (who had killed their mother in a fit of insanity and was released to Lamb's custody) was a gathering place for literary and political reformers like Shelley, Leigh Hunt, and William Hazlitt. Mr. Andrew Lang: Scots writer Andrew Lang (1844-1912) became distinguished as a scholar, historian, and journalist. A fellow at Merton College, Oxford University, he translated Homer (1879 and 1883), and published Homer and the Epic in 1893. He studied mythology and folklore in such works as Myth, Ritual and Religion (1887). The collections of fairy tales, such as the Blue Fairy Book (1889), the Red Fairy Book (1890), the Green Fairy Book (1892), and the Yellow Fairy Book (1894), for which he is best known now were part of that interest. The Autocrat of the Breakfast Table: A collection of essays published in 1858 by Oliver Wendell Holmes (1809-1894) and drawn from his regular contributions to the Atlantic Monthly. This collection was followed by two sequels The Professor at the Breakfast Table (1859) and The Poet at the Breakfast Table (1872). Elsie Venner: Oliver Wendell Holmes' novel, Elsie Venner: A Romance of Destiny was published in 1861. Elsie Venner's nature is tainted by snake-like qualities because her mother was bitten by a snake during her pregnancy; she dies in an attempt to rid herself of the taint, which others hold her morally responsible for. Holmes was an anti-Calvinist who tried to show the absurdity of the concept of original sin. The Guardian Angel: Oliver Wendell Holmes' novel, The Guardian Angel (1867), concerns Myrtle Hazard, whose unstable nature is the result of discordant ancestors. Under the treatment of her guardian, Professor Gridley, and through her love for a sculptor, Clement Lindsay, her health and sanity are restored and she nurses the wounded during the Civil War. the chambered nautilus outgrew the shell forever: The chambered nautilus (Nautilus pompilus) is a cephalopod of the South Pacific, the only ones to have shells, which may grow to a diameter of more than ten inches. When cut longitudinally, the lustrous, pearly interior of the shell shows a spiral pattern of successively larger walled sections, or chambers, inhabited by the animal as it grew. The shell was a favorite for home natural history collections in the nineteenth century, and is immortalized in Oliver Wendell Holmes' poem, "The Chambered Nautilus" (1858):This is the ship of pearl, which, poets feign,Sail the unshadowed main,—The venturous bark that flingsOn the sweet summer wind its purpled wingsIn gulfs enchanted, where the Siren sings,And coral reefs lie bare,Where the cold sea-maids rise to sun their streaming hair.Its webs of living gauze no more unfurl;Wrecked is the ship of pearl!And every chambered cell,Where its dim dreaming life was wont to dwell,As the frail tenant shaped his growing shell,Before thee lies revealed,—Its irised ceiling rent, its sunless crypt unsealed!Year after year beheld the silent toilThat spread his lustrous coil;Still, as the spiral grew,He left the past year's dwelling for the new,Stole with soft step its shining archway through,Built up its idle door,Stretched in his last-found home, and knew the old no more.Thanks for the heavenly message brought by thee,Child of the wandering sea,Cast from her lap, forlorn!From thy dead lips a clearer note is bornThan ever Triton blew from wreathed horn;While on mine ear it rings,Through the deep caves of thought I hear a voice that sings:—Build thee more stately mansions, O my soul,As the swift seasons roll!Leave thy low-vaulted past!Let each new temple, nobler than the last,Shut thee from heaven with a dome more vast,Till thou at length art free,Leaving thine outgrown shell by life's unresting sea! 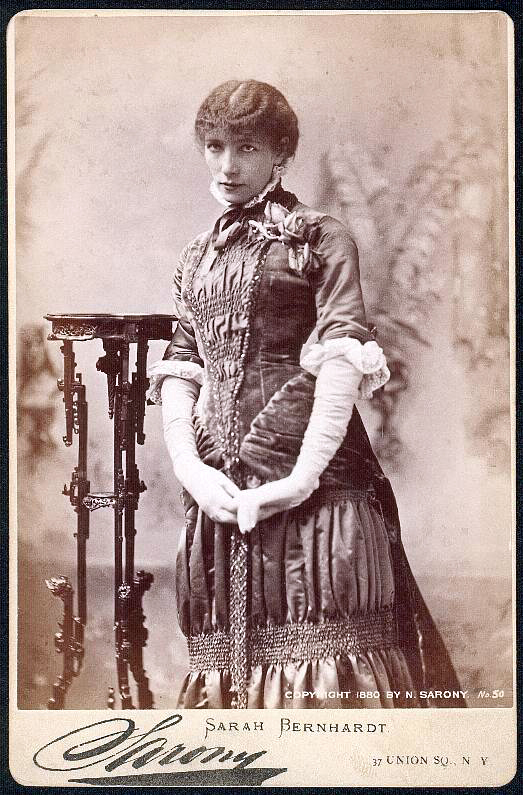 Madam Sarah Grand: Frances Bellenden Clarke (1854-1943) was born in Ireland; she married Chambers McFall, a widower, in 1871, when she was barely seventeen. Her first novel, Ideala (1888), was self-published. She left her husband in 1890 and adopted the name Sarah Grand in 1893, the year that saw the publication of her best-known novel, The Heavenly Twins (1893). She popularized the term "New Woman" as she expressed her ideas about education and suffrage for women, but it was her questioning of conventional marriage that roused the most controversy. Later novels include the somewhat autobiographical The Beth Book (1897), Babs, the Impossible (1900), Adnam's Orchard (1912), and The Winged Victory (1916). Grand was mayor of the city of Bath in England from 1922 to 1929. The Heavenly Twins: The Heavenly Twins (1893) by Sarah Grand, was one of the best selling and most discussed novels of the year. The complicated plot follows the lives of several intelligent, forceful women and their marriages. Angelique Hamilton-Wells is stronger than her twin brother, Diavolo; she delights in the freedom that comes with wearing men's clothes and assuming a male identity. When a man who had cherished her as "the Boy" discovers her real gender, he is revolted and later dies. Evadne Frayling and Edith Beale both have marriages to aristocratic and diseased men—the novel was shocking in its relatively frank discussion of venereal disease and its consequences for women and their children. that mutual extermination of barbarians that is going on in the Eastern hemisphere: The Sino-Japanese War of 1894-95 was fought over control of Korea, which had traditionally been a tributary state of China. The Japanese, who had modernized much more rapidly than China, deposed the Korean emperor in June 1894 and installed pro-Japanese reformers in the government. War was officially declared on 1 August 1894; the Japanese defeated a Chinese army on 16 September and destroyed eight of twelve warships in a Chinese fleet on 17 September. By 21 November the Japanese allegedly massacred thousands of Chinese civilians in what came to be known as the Port Arthur Massacre. Further defeats led to the signing of the Treaty of Shimonoseki on 17 April 1895, with territorial and trade concessions, and reparations that established Japan as the dominant power in Asia. Gate of a Hundred Sorrows: Rudyard Kipling's short story, "The Gate of a Hundred Sorrows" was collected in his first volume of short stories, Plain Tales from the Hills (1888). In the story, an opium smoker tells of the opium-den he frequents (the "Gate of a Hundred Sorrows") and the fates of the people connected to it. Was Mr. Hayes still with Downing? : Cather's 2 October 1894 review of the Downing company's performance of The Gladiator mentions Edmund Hayes in the cast. 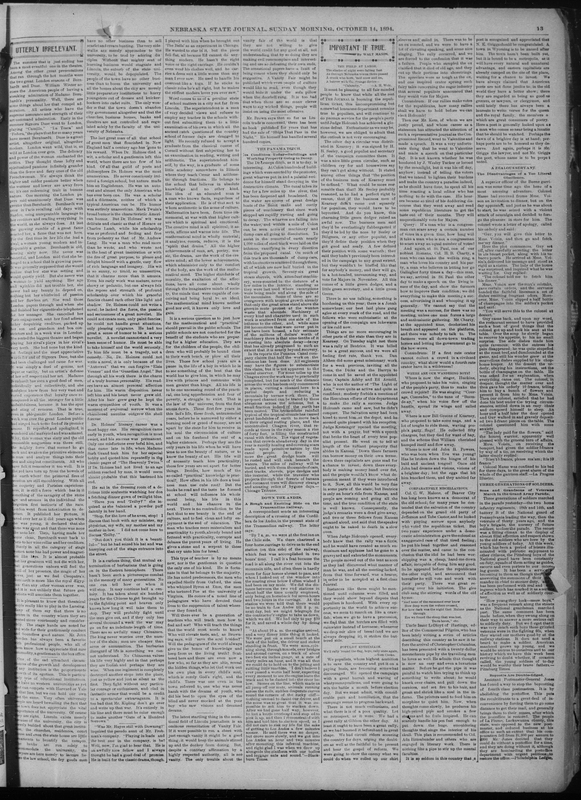 Odell's Annals of the New York Stage does not index an Edmund Hayes; the New York Times drama review index notes an Edmund Hayes appearing in Moonshine in 1918. Mr. Edmund Hayes: Odell's Annals of the New York Stage does not index an Edmund Hayes; the New York Times drama review index notes Edmund Hayes appearing in Moonshine in 1918.
pseudo aunt, or Babbs: In Brandon Thomas's Charley's Aunt (1892), Lord Fancourt Babberley (Babbs) is pressed into dressing as Charles Wyckham's Brazilian aunt in order to serve as chaperone for the visits of Amy Spettigue and Kitty Verdun to his friends, Wyckham and Jack Chesney. Amy's father Stephen Spettigue and Jack's father Sir Francis Chesney both fall for the "aunt", Donna Lucia d'Alvadorez. 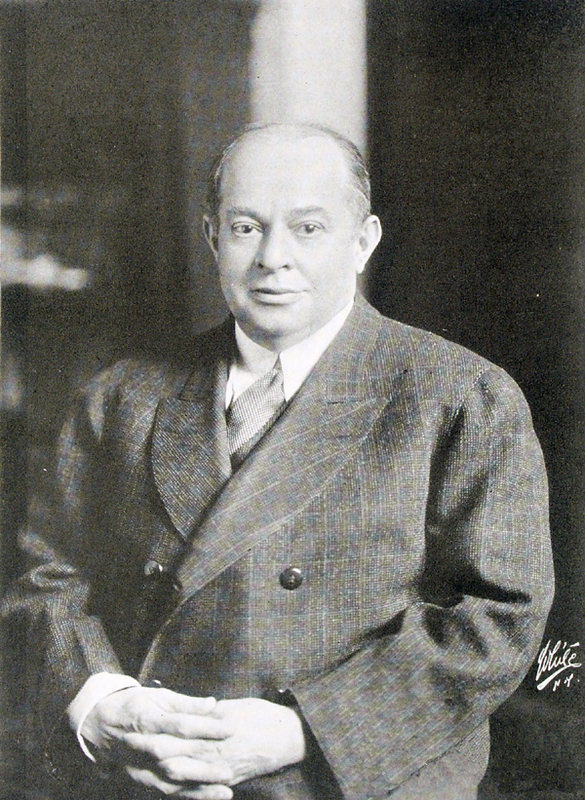 Etienne Girardot played the role in the first New York production. Cornell: Either Cornell University in Ithaca, NY, which opened in 1868, or Cornell College in Mt. Vernon, Iowa, founded in 1857.
gives a stone and a serpent to those that cry unto him for bread: In the Bible, Luke 11.11 records Jesus as saying: "If a son shall ask bread of any of you that is a father, will he give him a stone? or if he ask a fish, will he for a fish give him a serpent?" men who expelled Shelley from Oxford: The poet Percy Bysshe Shelley was expelled by the master and fellows of University College, Oxford University, for refusing to answer questions about his authorship of a pamphlet expressing atheistic views, The Necessity of Atheism (1811). Shelley: Percy Bysshe Shelley (1792-1822), English Romantic poet, showed his disposition to rebel against established customs and beliefs while still young: he was expelled from Oxford for writing a pamphlet, "The Necessity of Atheism." In 1813 Shelley brought out his first volume of poetry, Queen Mab. The following year he fell in love with Mary Wollstonecraft Godwin and eloped with her (accompanied by her stepsister, Claire Clairmont). Much of the remainder of Shelley's short life was spent abroad, especially in Italy, sometimes in the company of Byron. Promethus Unbound (1819) shows Shelley's revolutionary, idealistic, and visionary spirit. He died while sailing in a sudden storm; when his body was recovered, it was burned on the beach in an ancient Greek tradition. Oxford: Oxford University is the oldest university in Britain; the town of Oxford had become a center of learning by the late twelfth century, and the masters of the various schools were recognized as a universitas, or corporation, in 1231. Various colleges were organized and endowed over the years; typically students attend lectures and work with a tutor who oversees his work (or hers, with the formation of colleges for women in the late nineteenth century). the men who whipped Byron at Eton: The poet George Gordon, Lord Byron, attended Harrow, rather than Eton, from 1801-05. Byron: George Gordon Noel, Lord Byron (1788-1824), one of the most famous English Romantic poets, lived in relative poverty the first years of his life before inheriting the title at the age of ten. He was somewhat lame, possibly as a result of infantile paralysis, but was known for his dark good looks. He was educated at Harrow and Cambridge, where he began writing poetry. In 1809 he went abroad for two years, to Spain and Greece; some of his travels are recorded in Childe Harold's Pilgrimage (1812), which made him famous immediately. It was followed by The Giaour (1813) and The Corsair (1814). Following his separation from his wife, Byron left England and settled for a time in Italy, at first in the company of Shelley and his companions. There he worked on Don Juan (1819-1824) and other poems. He became involved in Italian politics and a revolt that failed, then in 1823 he went to the aid of the Greeks, in whose service he died. Eton: Eton College was founded as a school for boys by Henry VI in 1440 in the town of Eton near Windsor Castle. Students live in organized Houses, each with a House Master. Eton and its rival Harrow educated many of the sons of the aristocracy over the centuries; the Duke of Wellington supposedly said that "the battle of Waterloo was won on the playing fields of Eton." men who tortured Poe at the university of Virginia: Edgar Allan Poe entered the University of Virginia in 1826, but his gambling and drinking forced his removal in 1827. He then enlisted in the army and in 1830 obtained an appointment to West Point. There, however, he was court-martialed and discharged in 1831. Edgar Allan Poe: American writer Edgar Allan Poe (1809-1849) published his first volume of poetry, Tamerlane, anonymously in 1827; a second volume was published under his name in 1831. After being discharged from West Point, he made a precarious living on various magazines in Richmond, New York, and Philadelphia. He married his thirteen-year-old cousin, Virginia Clemm, in 1835; she died in 1847. A collection of short stories, Tales of the Grotesque and Arabesque (1839) included "The Fall of the House of Usher." His most famous poem, "The Raven" appeared in a newspaper in 1845. Poe's alcoholism contributed to the instability of his life, but the cause of his death is unknown; his inimical first biographer established the legend of the drink and drug-ridden doomed writer. University of Virginia: The University of Virginia was founded by Thomas Jefferson on land purchased from James Monroe in 1817; it was chartered in 1819 and the first classes were held in 1825. It was the first non-sectarian American university and the first to offer electives rather than a fixed course. save the soul besides? : Browning wrote, in The Ring and the Book (1868), that to "write a book should mean, beyond the facts, / Suffice the eye and save the soul beside" (12. 862-863). saw visions and dreamed dreams: In the Bible, Joel 2:28 reads, "And it shall come to pass afterward, that I will pour out my spirit upon all flesh; and your sons and your daughters shall prophesy, your old men shall dream dreams, your young men shall see visions." A very similar passage in Acts reads, "And it shall come to pass in the last days, saith God, I will pour out of my Spirit upon all flesh: and your sons and your daughters shall prophesy, and your young men shall see visions, and your old men shall dream dreams (2:17). despite a contrary affirmation by a highly respected authority, all is not vanity: In the Bible, Ecclesiastes 1:2 reads, "Vanity of vanities, saith the Preacher, vanity of vanities; all is vanity;" similar passages are almost a refrain in this book. Vanity fair of the world: In John Bunyan's Pilgrim's Progress (1678), Beelzebub, Apollyon, and Legion establish a fair, or market, in the town of Vanity which sells all kinds of worldly goods and pleasures to the danger of the soul of Christian. The name was used most famously by Thackeray for his novel, Vanity Fair (1848). Mr. Henry W. Brown: Probably Henry W. Brown, a Lincoln druggist, bookseller, and stationer; his store was at 127 S. 11th Street, and he lived at 1131 H Street, near Cather's first boardinghouse. Ships That Pass in the Night: Beatrice Harraden's popular novel, Ships that Pass in the Night (1894) is about the doomed romance of two patients in a tuberculosis sanitarium. The title comes from the Theologian's Second Tale in Longfellow's Tales of a Wayside Inn: "Ships that pass in the night, and speak each other in passing, Only a signal shown, and a distant voice in the darkness;So on the ocean of life, we pass and speak one another, Only a look and a voice, then darkness again and a silence."